"Natural wine” continues to have a peculiar existence. While wine has historically been at the forefront of innovation in the realm of food and drink, it seems now as if we wine lovers are playing catch-up to the robust advances made by all kinds of “organic” (bio in German) and “natural” food purveyors and devotees. Part of the lag is due to our inability to put forward a singular definition of natural wine, or, in fact, to agree whether or not the concept needs defining at all. International wine bodies have similarly failed to clear fresh trails, preferring instead the safer path of inaction. Although the wine trade no longer serves as the pacesetter in gastronomic trends, its critics, journalists, and bloggers continue to stake positions, often with great emotion, defending, denouncing, and deconstructing natural wine. In spite of its problematic nature, the concept is not without merits. Natural wine, its critics notwithstanding, appears to most of us as politically progressive, environmentally friendly, and seemingly more authentic than mass-produced, industrial brands. Among its great advantages is its alleged proximity to terroir. By consuming natural wine, we believe—no matter the extent of objective justification—that we are circumventing the intrusive hand of man and drinking directly from the Earth, reveling in its unfiltered riches. While there is little consensus among growers, merchants, critics, and consumers about what exactly “natural” means or is, there is no denying its magnetic appeal; we all desire, somehow, that our wines be closer to nature. In Germany, the natural wine movement is as fractured as anywhere else (of course, using the term “movement” implies more coherence than there actually is), and definitions there remain as elusive as they are here, in the United States. Somewhat surprisingly—given the impotence at present—the movement’s history in Germany is extraordinarily long, reaching at least as far back as the 1840s. Still more astonishing, 19th-century debates about natural wine were even more vexing than they are today! In fact, I would argue that the so-called Kunstweinfrage, or artificial wine question of the late-19th century, pitting proponents of Naturwein, or natural wine, against its alleged defilers, was the single most-explosive dispute in the German trade before the First World War. Similar debates in France, Italy, or Spain, all occurring decades later, hardly approached the intensity and obstinacy which pitted growers and merchants in the Bavarian Pfalz against their peers along the Prussian Mosel, and then, after unification of the Second Reich in 1871, Germans against Germans. It should be noted that both the Pfalz and the Mosel were only recently annexed territories, neither of which had a particularly loyal attachment to Bavaria or Prussia, respectively. Making complete sense of this dispute requires that far more attention be paid to these nuances of region, religion, occupation, and class than what we can achieve here, though a brief sketch of the turbulent Mosel trade in the 1840s–1870s, particularly the part played by Ludwig Gall, reveals some of the force of this fascinating moment. In spite of his being dubbed “the first German Socialist,” a pioneer in “theoretical interventionism,” and an “unknown early Keynesian,” Ludwig Gall’s (1791–1863) greatest influence might have been in the area of winemaking. As an eyewitness to the chasms created when unfettered markets struck the European countryside, Gall, a native of the German Duchy of Jülich, embarked on a career dedicated to eradicating inequalities left in the wake of industrialization, economic modernization, and political reaction. Following a series of bureaucratic positions and failed attempts at establishing utopian settlements, including a short-lived stay in Pennsylvania, Gall jumped headfirst into the political strife erupting across the continent in the wake of harvest failures and unrest in 1848. Settling down once and for all in the Rhineland following another forced exile, this time from Hungary (where he no doubt learned much about winegrowing), the social-reformer Gall was moved to improve the lot of Mosel winegrowers through technological innovation, that most powerful tool of the mid-19th century utopian. Though inconceivable today, Mosel winegrowing was collapsing in the difficult 1840s, wracked by consecutive poor harvests, increased competition because of the expansion of the Prussian Customs’ Union in the 1830s (which took away the Mosel’s monopoly in the North-German region), and the enduring problem of the stinging acidity of Mosel wine in under-ripe vintages. Gall believed that rational science provided the blueprints to correct the problem of poor harvests and high acidity: He was convinced that if the thriving of vines depended upon the heavens, then harvest and fermentation were squarely in the hands of man. Nature’s deficiency, manifested in sour Mosel wine, could, in a sense, be cured by human intervention. Building on existing vinicultural knowledge, including the work of Frenchman Jean-Antoine Chaptal, Gall improved, and, more importantly popularized, a process in which a calculated sugar and water solution would be added to the grape must in order to reduce excessive acidity. Far removed from pernicious “improvement” techniques which endangered the lives of consumers, Gall’s technique used nothing beyond that which was already provided by nature in the grape; sugar and water. Suspicions of Gallisierung soon turned into threats. 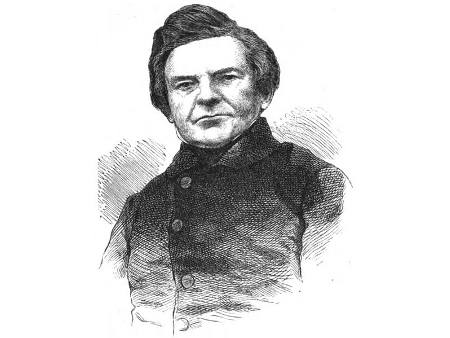 Franz Peter von Buhl (1809–1862), an estate owner in the Pfalz, demanded that Gall’s method attract the eye of the government, and even initiated legislation that sought to criminalize certain winemaking technologies if undisclosed by grower or merchant. The anti-Gall camp was able to reach vintners through gatherings, newspaper articles, and political pamphlets. In 1854, an anonymous member of the Agricultural Association of Rhenish-Prussia published yet another defamatory piece. Aside from causing massive headaches, Gall’s wine was said to lack the true bouquet and taste of natural wine. The piece charged that “artificial wine is neither as pleasurable nor as healthy as natural wine, and cannot be considered a means against sickness.” It has been proven, the piece continued, that wine is not just a product of fermentation, but of the vegetation process which is already manifest in the unfermented grape must. A manipulated fermentation thus leads to an unnatural bouquet and taste. Natural wine and non-natural wine (Kunstwein) were two separate categories of drink, the former being the true and inimitable wine. Producers and merchants were warned not to dabble with Gall’s idea lest they open themselves to communal scorn and possible fines and imprisonment. Opponents of Gallisierung did manage to organize themselves around a few common tropes to discredit producers of gallisiert wine, but they still lacked the ability to challenge these allegedly artificial winemakers in any serious way. One key reason for their failure was the powerlessness of south-German (non-Prussian) winegrowers and merchants in influencing Prussian politics in any significant way. Following German unification in 1871, however, natural-wine advocates were given a fairer opportunity to influence new national laws and policies. Such an opportunity first presented itself at the 1874 Congress of southwest German Wine and Fruit Producers (Wein- und Obstproducenten des südwestlichen Deutschlands) held in Trier on the Mosel. The theme of the three-day event was the encroachment of Gallisierung and other types of “artificial” improvements, and their detrimental effect on production and consumption. The moment would prove to be a pivotal turning point in the development of a modern taste discourse, catapulting the concept of “natural wine” into the national spotlight. The over 100 attendees in Trier included estate owners, merchants, chemists, lawyers, and bureaucrats. Their primary goal was strategizing a platform for the discrediting of various types of cellar manipulations, including de-acidification, while trumpeting the use of traditional vinicultural practices as natural. The vehicle created to accomplish these tasks was the German Vintners’ Association (Deutscher Winzer-Verein), soon renamed the German Winegrowing Association (Deutscher Weinbauverein). The Association’s purpose, as articulated in its founding statutes, was the promotion of the production and consumption of natural wine. With 800 members by 1876, the Association included many families still recognizable on the Mosel (Thanisch, Prüm, Bergweiler, and Kerpen), all who feared the complete discrediting of the Mosel through its entangled reputation with Gall. The political significance behind the term "Gallisierung" fell away as Gall himself was quickly forgotten after the turn-of-the-century. The ersatz term, Nassverbesserung, or “improvement with water,” though more accurate in description, lacked the concomitant historical tension. If Ludwig Gall’s ambitions were part and parcel of his wide-ranging goal of reducing vintner poverty while improving, rationally, the quality of Mosel wine, then we might with good reason be suspicious of the aspirations of those who would object. While oversimplified, there is every reason to believe that the origins of natural wine had less to do with wine, per se, and more to do with preserving the status quo in the trade. Mapping this somewhat crude reductionism onto the present, while requiring a good deal more prudence, is enlightening in at least one important way. While we as consumers might revel in the good-natured sparring over minutia in our particular definitions of “natural,” we all should recognize at least one important point: The very concept of “natural” is itself a man-made invention, often arising during times of crisis or great change. Image: Ludwig Gall sketched by an unknown artist for an illustrated calendar (1860). Kevin D. Goldberg is an instructor of history at Kennesaw State University. From 2011–2013, he was a postdoctoral fellow at Brown University. He is currently working on a book, The Fermentation of Modern Taste: German Wine from Napoleon to the Great War. Thanks very much for your comment and kind words, Andrew. As you point out, there are some fascinating parallels between the 1800s and the present, not least of which is the way that “natural” carries some sort of reactionary energy, whether political, environmental, viticultural, etc. You also touched upon one of the great ironies of Gall and the early natural wine movement. While the branding of wine as “natural” was spread through criticism of Gall and his method, the very process which Gall popularized–de-acidification–was entirely natural in the sense that it did not permit the use of non-grape substances. There were certainly quibbles about the source of sugar (grape vs. cane vs. beet, for example), but the method diverged from other forms of improvement by its very naturalness. Ultimately, what may have been “unnatural” about Gallization was the stretching of total liquid volume by way of the sugar-water solution. It is interesting that opponents of this identified and employed “natural” as a way to articulate the issue. Getting somewhat off-track, I think this is tied into the legacy of German Romanticism vis-a-vis enlightened rationality. More importantly, I have not had a Kuhn wine in years, though I am eager to do so. Has the estate been “bio” for long? I’ve been trying to gauge, for the case of Germany, whether or not “bio” is still a movement in the sense that it operates against the grain of broader (and more industrial, perhaps?) winegrowing and winemaking strategies, or if the goal posts have been moved in the sense that there has been a wider industry-wide paradigm-styled shift towards processes more in line with organic and natural producers. I’m curious as to whether Andrew, Lars, or others with a keen eye on the trade in Germany can speak to this. Thanks for your follow-up, Kevin. As for Peter Jakob Kühn, I don’t know how long the family has worked their vineyards biodynamically. Perhaps a reader can answer your question. Matthias Knebel did a stint at the estate during his studies at Geisenheim, and Clemens Busch knows Kühn as well. In Germany, some of what is sold as “Bio-Wein,” especially in most organic grocery stores, is geared towards a certain clientele and is not maybe industrial, but the winemaker might have used selected yeasts and other agents, or makes just average wines at best. It’s different from the now-popular natural wine movement (low sulfur, ambient yeasts) that rose up in Beaujolais and at certain wine bars in Paris and then spread to NYC and other places several years ago. I do, however, sense that more quality-oriented German growers are moving towards organic or even biodynamic viticulture. Others are working naturnah, or “close to nature,” even though some growers were always this way, but never purposely marketed themselves as such. In France, for example, Château de Beaucastel and Domaine Tempier have been farming organically for many decades, but never talked about their production in terms of “natural wines.” It wasn’t hip then. Nonetheless, I love a lot of the wines that are termed “natural,” especially coming from top producers in regions such as the Jura, Beaujolais, or the Loire Valley. On the Mosel, it’s much more difficult to work organically on the steep slate slopes, especially if a grower has small plots spread out in several different areas. In most vineyards of Rheinhessen or the Pfalz, it’s less burdensome (see also Thorsten Melsheimer’s “Organic Spraying in the Mosel Valley” for more details). Just to add a bit more to what David said about Peter Jacob Kühn: I did have a 2000 Lenchen Kabinett from him a few years ago, and it was a pretty typical Riesling from the central Rheingau. Certainly a solid wine from a below average year, but without any hint of Kühn’s subsequent “conversion”, to use David’s well-chosen term. Thanks for the fascinating article, Kevin, on which (you’ll doubtless be glad to know ;- ) time precludes my commenting in any detail. While there’s an increasingly flourishing “bio” movement among German growers, I’m not sure we can speak of ANY “natural wine” movement in the sense that we have it among French growers or US critics and restaurateurs. For one thing, the emphasis on low sulfur that characterizes today’s self-style natural wine partisans is largely absent in Germany and unsulfured wine extremely rare. For another, the very term “bio” does double-duty for organic as well as biodynamic viticulture and there is no other term (whereas partisans elsewhere would say that organic viticulture is a necessary but INsufficient condition for a grower’s wines being “natural”). Kühn, incidentally, has been bio-dynamically-farmed since 2004 and Demeter-certified since 2009. I have written about his “conversion” (not too strong a word in this instance) and discussed it with him in considerable depth. The wines are better than ever but also dramatically different from what they were a decade and more ago, one major reason being that part of Kühn’s conception of a wine as nature wants it is one that has been allowed to undergo malo-lactic fermentation (though he still also crafts superb residually sweet wines that don’t). I still find the huge furor over Gallizierung – even allowing for the underlying socio-psychological and economic factors to which you alluded (and which dominate most of your more detailed and comprehensive work on late 19th and early 20th century German wine)- something of a tempest in a teapot (oder Weinkelch ;- ) inasmuch as chaptalization preceded it but while subject to long-lingering prejudice in Germany was never to my knowledge the cause of furor in any European growing region; and the insight that adding water will dilute acidity seems so obvious that it’s hard to believe it really was never done before Gall wrote to recommend it. As I have mentioned to you before, many a revered German grower today has been heard by me to opine that occasionally a bit of water would be a more reliable way of de-acidifying that those that are legally permitted. (I wrote a German wine lover’s primer to de-acidifaction as part of a report last year on Germany’s 2010 Rieslings, so shall here neither shill further for that piece of writing nor go into further detail, except to note that legal modern methods only “double salt” de-acidification lowers malic as well as tartaric, and it is a tricky not always reliable procedure, unlike adding water ;- ) What’s more, if one imaginatively transports oneself back in the only recently ended (or at least, interrupted) era when there were frequent vintages in which despite low yields and responsible viticulture German Riesling grapes were still HARD (not to mention un-ripe) when the first frosts and snow arrived, it’s not difficult to appreciate why addition of water as well as sugar was considered a necessary expedient. In case friends of natural wine are monitoring this comment, please be advised that I am not – all things taken together – advocating addition of water nor disrespecting those who eschew it on principle. (And today the issue of watering is really moot in most of the world as a means of de-acidification; it’s as a means of lowering ALCOHOL that it’s practiced today in most parts of the world.) I’m merely insisting that one appreciate the reasons why it has sometimes been favored – many of which are far from obviously pernicious or greedy – and that if one wants to make a big deal of it, the onus is on the accuser to explain on what principles it should be ruled out and what makes it so (allegedly) pernicious – whether on account of taste, (im)morality, ontology, theology or some other sort of consideration? Thanks for your “brief” comments, David. They are extremely insightful as always, and your position on de-acidification, from what I can tell, seems a rather courageous one. Bert Celce, whom I met several years ago in Paris at one of my Mosel Wine Merchant tasting events, just posted a long article on Ludwig Gall on his excellent blog at wineterroirs.com. To read his piece, click here. Let me state up front that I have delighted in reading many of Celce’s on-line articles and have found him enormously insightful in matters vinous … just not on this occasion! The real problems with adding water or sugar are doing-so excessively. And to be sure, if you have utterly unripe material – which happened often with German Riesling prior to 1988 even at diligent, quality-conscious estates – you are not going to be able to render a particularly good wine. The decent exceptions from 1980, 1978, or 1977 are just that, exceptions and merely decent; and a look at cellar books back through the 20th century shows that these were noting compared with some of the misfortunes visited on classic Riesling vineyards at other times. If you have green, hard grapes still in November – as sometimes happened – then it’s understandable that you would consider yourself lucky that adding sugar and water would guarantee fermentation and generate some semblance of wine. If one wants to talk about the crusade for quality, it is insistence on minimal standards of ripeness (if only crudely approximated by sugar at harvest) and of yields that matter. All of the horror stories Celce mentions including those associated with Hussmann and his era stem from under-ripeness and over-cropping, not from the mere fact that water and sugar were added to musts. There was plenty of both chemical and mechanical technology entering the main stream of wine production in the second half of the 19th century – witness alone all of the devices and preparations developed in futile efforts to combat phylloxera, or the arguably more felicitous developments of sterile filtration and motorized presses. I don’t perceive boosting the levels of water and sugar in must as rising to a remotely similar level of sophistication. But more importantly, Gall wasn’t part of an industry trying to sell special additives, chemical treatments or machinery, so implicating him as a forerunner for today’s many allegedly “manipulative,” “industrial” or “technological” bogeymen strikes me as at the very least an enormous conceptual stretch. Ludwig Gall’s correction method became mainstream in Germany at large and known under the German words Anreicherung or Verbesserung (correction & bettering techniques). This sugar/water addition method can be held responsible (from what I understand) for the sugary reputation of German wines worldwide. he seems to imagine that Germany was in respect to chaptalization an exception, whereas adding sugar was until very recently commonplace in most of France and is still widely-practiced including by some of this country’s foremost growers. (Watering is still commonplace too, but for a completely different reason and in regions were sugar levels become excessive.) What’s more, he falls into the same confusion (which I simply cannot comprehend) that permeates the many popular post-WWII scare-mongering articles in Der Spiegel and elsewhere in the German press, namely conflating sugaring of must and sweetening of wine. There was certainly a period when sweetening wines was popular in Germany and – as was, and still is, arresting fermentation – but that was long after Gall’s time! What’s more, sweetening remains entirely legal, whether it involves adding un-fermented or par-fermented must or for that matter (as happens routinely even at top-notch estates today) a bit of TBA, BA or Eiswein that the grower deems too tiny or otherwise unsuited to bottling on its own. But what has this got to do with the function of chaptalization?! I supposed one could say that it does have one thing in common with watering, namely that you might add Süssreserve to your Riesling – or, for that matter, arrest its fermentation – in part as a way of dealing with high acidity. But this analogy represents another real stretch, nor can I imagine why manipulating residual sugar to balance acidity should be viewed as a horror! Thank you for detailing your opinion about my writing on Gall’s episode. First, thank you to Kevin for having written this article, which is a deep resource on something we’re alas not taught about here in France (the detailed episodes around winemaking practices in Germany or generally outside France). Like Kevin pointed to in his comment (and I thought about it before reading this last comment), it is not a question of us-modern-people looking harshly on 19th vintners for something that is supposed to be widely accepted then: the opposition back then was strong and durable when he made his recipe known, proving that even then it was far to be considered acceptable and natural to correct a wine this way. The question if it was allowed or not is secondary, same to say if it is better or worse than de-acidifying, winegrowers with an ethic don’t look at the allowed/not-allowed list of practices to see if they can correct their wine, and I guess that this was the case even then for a proportion of quality-conscious producers. Speaking of my overuse of the word technolgy, I use it in a broad sense of course, water not being a typical technolgical tool, but people understand what I mean, I mean corrections by additions or intrusive manipulation of the juice/wine. Lastly, I didn’t mean that France was free of blame, people know chaptalizatin has been widely used there, especially from the time industrial production of sugar began to yield cheap sugar, something decisive because before that the farmers couldn’t afford to use sugar, this was far too expensive a treat for the juice. Kevin writes at the end of his last comment that sweetening was not done only through Gall’s method, but also through stopping the fermentation (which then I guess would mean heavy SO2 addings) or through adding of TBA, BA or Eisswein which in my mind also means not only sugar not present in the initial wine but lots of SO2 to prevent this to referment. Not a better option I think. I wouldn’t say that “manipulating residual sugar to balance acidity is an horror” for me, but it is a disservice to the original wine or it is the indirect aknowledgement that the raw material was not fit to make wine in the first place. When consumers have been encouraged broadly and for years to get sweetened wines it is difficult to make them appreciate wines that are dry and naturally acidic. I was recounted he same story in Japan (see my Shinkame brewery story) from Yoshimasa Ogawahara (the brewery owner) who told me that after years of having been used to drink artificially-sweetened sake (from, say, 1943 to 1985) the Japanese were having difficulty to readapt to uncorrected dry sake (the first sake brewery having restarted the production of real sake being Shinkame). What struck me most about Celce’s article, which I enjoyed, is that somebody with a viti-historical knowledge as deep as his was unaware of Gall. This is certainly not a criticism of Celce but rather an indication of the extent to which Gall and his processes have been willfully written out of wine history. David, I don’t think Celce is sensationalizing Gall’s methods. Rather, the opponents of Gall in the 19th century did the sensationalizing. As I tried to demonstrate in my article here (as well as in a longer-format journal article), Gallisierung morphed into a socio-economic issue far larger than mere viniculture. Legions of opponents derided Gall’s methods as detrimental to wine, the drinkers’ health, and even to some abstract notion of what it meant to be German. It is important to consider, as Celce recognizes, that debates about Gallisierung/Natural wine occurred earlier in Germany than they did in France. In France, these processes were simply not controversial…though they were certainly employed. One of the key differences is that Gall and his techniques (and his alleged politics) were routinely scandalized in Germany. Gall is only half the story. Natural wine, in fact, emerges not from Gall but from these scandalizing reactions. Gallisierung is most certainly a kind of technology, just like refrigeration and indoor plumbing. They are so far removed from our contemporary employment of the term in its largely digital sense that we can easily lose sight of the term’s far broader historical reality. Of course, Gall’s methods were in fact around before he popularized them. I would also argue that the very act of streamlining and distributing information in new, innovative ways is a kind of technological advancement (in this case, how societies spread knowledge). Actually, regarding winemaking practices I’m pretty libertarian, what I’d just like is that when winemakers correct a wine, ad this or that including sugar, they tell it to their consumers openly. If adding sugar, water or another correction additive is no problem, why not tell it ? For my part, there are enough no-additives wines around to play with, and it’s not a question of ideology, just that this is so much pleasure to drink them. I don’t need an explanation for why these wines go down so easily, I’m content with experiencing it. That’s why Koehler-Ruprecht and Hofgut Falkentein still keep to the 1971 Prädikat system, as they can designate that their wines, including the dry and off-dry ones, are unsugared, or “natural.” The VDP’s new classification model doesn’t differentiate between a chaptalized or unchaptalized dry wine anymore. A high-end Grosses Gewächs can be sugared. In addition, the VDP discourages its members from labeling a wine as Kabinett, unless it has between 18 and 60 grams of sugar per liter. If it ferments below 18 grams and comes from a VDP.Grosse Lage, the wine is declassified into either an Orts- or Gutswein. More non-VDP members are following this system now. This, however, goes against the notion of terroir and the tradition of Naturwein, especially in the Mosel. I am neither against chaptalization nor an advocate of the 1971 Prädikat system, but why keep Kabinett or Spätlese only for residually sweet wines? The Prädikat system was framed around the then-EC laws of potential alcoholic strength, not sweetness. Moreover, the Prädikats didn’t always mean a sweet wine pre-1971 Wine Law. But how can a grower now be site-specific and indicate ripeness (in particular, lightness) for his or her dry-tasting wines, which have lower must weights, without using some silly fantasy name—often with the word slate, or “Schiefer,” in it—or downgrading the wine to a more generic place? The old use of village names only made sense when the inferior flat vineyards on the banks of the Mosel River didn’t exist. Back in the 19th century, a Piesporter or Erdener was from the slate slopes, not the plain, which had other crops, orchards, and cattle. Thanks much for your further clarifications, Kevin; and thanks Bert for your gracious response to my perhaps too breathless critique. There are a few things to which I think it worth calling further attention. Since Kevin’s historical approach emphasizes seeing the “natural wine” issue in 19th Century Germany in the context of class consciousness and “democratization” it should be emphasized that I learned about the sort of disastrous Riesling vintages to which I alluded – when, for example, the berries were still green and hard in November – from pursuing the records of some of the top estates farming the best sites. Special thanks, for example, are due Heidi Kegel for her generous permission to page through the extremely detailed but concise and clear records of her ancestors at the von Othegraven estate. And if terrible situations arose every dozen or so years in the great Kanzemer Altenberg, imagine how much worse things were for growers in lesser sites (even leaving aside issues of yield or plant genetics). I want to clarify what I think are some confusions in Bert’s reply. Arresting fermentation does not, as he imagines, necessarily “mean heavy SO2 addi[tions].” Sulfur is usually a part of the process, but it was only through the advent of sterile filtration in the first two decades of the 20th century that safely-stable residually sweet Riesling could be rendered via interrupted fermentation, and this process also meant that sulfur did not have to play the sole role in preventing re-fermentation. The advent of refrigeration on a wide scale make possible another effective means of arresting fermentation (“Kühlkellertechnik” as it was still referred to when I started studying Riesling in the 1980s). Additionally, the development of pressure tanks – which, for example, were a standard feature of the Maximin Grünhaus cellar for decades – offered another avenue for achieving this. Bert writes that: “adding of TBA, BA or Eiswein … in my mind also means not only sugar not present in the initial wine but lots of SO2 to prevent this to re-ferment. Not a better option I think.” It is extremely difficult to render stable nobly sweet wines of high residual sugar without significant use of SO2. But to suggest that adding a wine of this sort to another is bad on account of the SO2 introduced presupposes almost wholesale condemnation of naturally sweet wine. Does Bert really think it “unnatural” and a bad idea to render T.B.A., B.A. or Eiswein, seeing that this typically demands the use of SO2? I sincerely hope not! As for the portion of Bert’s critique directed at “sugar not present in the initial wine” I think he needs to take a somewhat broader view of this. Does he consider it somehow inherently illegitimate to ever blend two or more batches of wine even if they came from grapes harvested off of the same vineyard at the same time? Again, I certainly hope not. But any blending means adding something to a wine – including whatever amount, large or small, of residual sugar might be introduced – that it did not “initially” contain. And in practice very often in the case of blending nobly sweet Riesling into a drier wine, one is actually returning that portion of one and the same parcel’s crop that was picked-out separately and subjected to separate vinification. I personally find refreshing and fascinating the interest of so many German growers today in reviving block picking. But I can’t imagine condemning anybody who picks and vinifies selectively but then decides that the results will taste best if re-united in bottle. Lars, thanks for calling my attention to the Schoonmaker quote. (As I mentioned to you, I need to read the early editions of that classic.) I do not think it will be going out on a limb – even though it’s the late, undeniably great Schoonmaker we’re talking about – to say that he misleads his readers, or was perhaps himself misled, when he wrote those words. In order to appreciate the issue of chaptalization in perspective it is very important to challenge anybody who thinks that it makes a difference in principle and regardless of degree, to demonstrate that this is a difference you can consistently recognize by taste as resulting from chaptalization and that it is always deleterious. I don’t want to bore readers with old anecdotes (well, just one ;- ), but rest assured that I have often been able to pour for expert tasters including on occasion the grower of the wines in question “Q.b.A.” trocken and Spätlese trocken (or even Auslese trocken) from the same site and vintage where the presence or absence of chaptalization could not be discerned. On one memorable occasion, Johannes Selbach required less than one minute, tasted blind, to ascertain that the wine I had poured for him was a 1988 Zeltinger Schlossberg trocken he had bottled a dozen years prior. But as the wine was showing beautifully and was quite full for Riesling, he assume it must be not his Spätlese trocken from that site and year but rather a special Auslese-must bottling, which he wondered how I could ever have acquired, as it was never for sale and he’d never opened it for me. Well, the wine was neither. It was the “regular” lot from that site and vintage, which had been lightly chaptalized. And in the case of Burgundy, since so many of the best growers practice fractional chaptalization as a means of prolonging fermentation (and did so even when this was technically illegal because all of any sugar was supposed to go in at once) are those who view chaptalization as “unnatural,” “manipulative,” or a crutch also really prepared to claim that the wines of these growers are for that reason less tasty and that the Chevillons, Grivots, Mugnerets &c. are deluding themselves in their belief to the contrary? To allege that there is some huge qualitative divide between wines from chaptalized and from unchaptalized musts is to take a position based on ideology or metaphysics, not chemistry or taste. Please don’t misunderstand me. Ideology can be important. There are moral criteria – possibly even aesthetic ones (a tricky topic for another time) – that transcend taste; though it must be said that in Germany the widespread phobia of sugar as it relates to both musts and finished wines (often without distinguishing between these ;- ) has historically approached utter irrationality, and seldom involved any reference to taste. (In which regard, see the extended discussion – reprinted in part on this site – that Terry Theise and I attempted to have with an offended Stuart Pigott about the prevailing fashion for legal dryness in German Riesling.) And as regards taste, naturally (oops ;- ) chaptalization influences flavor. But, I submit, it doesn’t always do so negatively, and it often does so in ways that even the most experienced taster cannot correctly identify as the result of chaptalization. If you believe (as did, for example, de Montille) that alcoholic levity and clarity of flavor are cardinal vinous virtues you might elect to eschew any chaptalization in a belief that this will enhance the incidence of those virtues in your wines. But it is an awfully difficult – indeed, I believe untenable – case to argue that on the organoleptic evidence any wine whatsoever that you bottled would have been worse had its must been to even a small degree sugared. Thank you for your detailed and informative answer, David, each time I learn more of the nuances of winemaking and history in Germany (I had a long way to go, I must admit). You are right with this thing of reassembling of cuvées or blocks, good point. You seem to equate chaptalization with sweetening the wine, Bert. But sugaring is meant to increase the alcoholic strength of the wine. This is different from arresting fermentation to make a sweet wine. The intent here was clearly to sweeten the wine with an entirely-different type of wine. In that regard the other wine is clearly used for the sweetening, not to bring complexity through a different terroir/parcel like when you blend parcel-wines. Bert, I didn’t realize that you were replying to David’s point about sweet reserve and adding a dosage of dessert Riesling to a wine. David, you give a great example of Maximin Grünhaus, which got out of the VDP (then called the VDNV) and continued to produce delicious QbA wines. Your reference to de Montille reminds me of Henrik Möbitz, who initially refused to chaptalize any of his Pinot Noirs. Yet, later on, he changed his position on this point. Sven Enderle of Enderle & Moll says that, ideally, he would like to avoid chaptalization if the grapes are ripe enough. But some clients don’t like wines that are too light in body. Without being dogmatic, I like the idea of a Mosel grower (especially on the Saar or Ruwer) who chooses not to add sugar to the fermenting must and to let the wine naturally reach its stopping point without cooling it down and adding SO2 to make a residually sweet Kabinett or Spätlese. Unfortunately, the VDP only highlights the latter or GGs. Apropos the Terry Theise and Stuart Pigott debate, I just reported on a recent spring wine festival in Trier-Zurlauben, where most of the Germans preferred off-dry Mosel Riesling, not dry. I would simply add two things to David’s excellent points. First, there can be no doubt that Chaptalization and other types of “kuenstliche” Verbesserung were employed across the spectrum of winegrowers; large or small, elite or not elite. Much of the hubub was about who should or should not have access to these methods. Of course, for the 19th century, we are dealing with a period when equality and equal access were but distant dreams. Second, and this is more of a question than a point. While one could not with 100% accuracy discern a Chaptalized from a non-Chaptalized wine today, i wonder how long this narrow proximity between the types has actually been the case. Maybe, with more rudimentary calculations, poorer ingredients, and less oversight, there was more of a marked difference between the types before, let’s say, 1945. I really don’t know, but i suspect that this is very possible. This would really place a distinct boundary between “old” Chaptalization and “new” Chaptalization. regarding the fall in fashion of sweet wine, that happens to be something about which I have written quite a bit, especially in Austria, but the phenomenon applies to virtually all of the classic regions that specialize in or produce especially notable nobly sweet wine. I must say that I have never heard high sulfur adduced as an important reason why consumers reject these wines, so I have to consider and research that hypothesis. But there are certainly enough other explanations including the cost of rendering top-notch examples; the fading fashion for aperitivs generally; and especially the lack of time to appreciate these quintessential “slow wines.” As you intimate, one can render outstanding nobly sweet wine with more SO2 or less and there are a few practitioners (in Austria as well as in France) who get-by with very modest additions. On the larger matter of growers “fessing-up” (as we say stateside ;- ) I am entirely with you at least in principle that growers should be more open. Indeed, it’s treating something like watering (as widely practiced in Northern California) or chaptalization (as widely practiced in Burgundy) as though it were taboo that makes growers reluctant to mention them, which in turn only reinforces the taboo. But one has to consider legitimate grounds for that reluctance. Most consumers know too little about how wine is made to adequately interpret the significance (or its lack) of adding sugar, water, acid, sulfur, or anything else. Furthermore, unless some table is drawn-up of additives whose presence or absence one is required to state (where? on the label?) it is impossible to know whether those additives that the grower admits to represent a complete list.